Here is a great way to make a fast easy party tray for Fall. I purchased an inexpensive plastic leaf tray from Walmart. 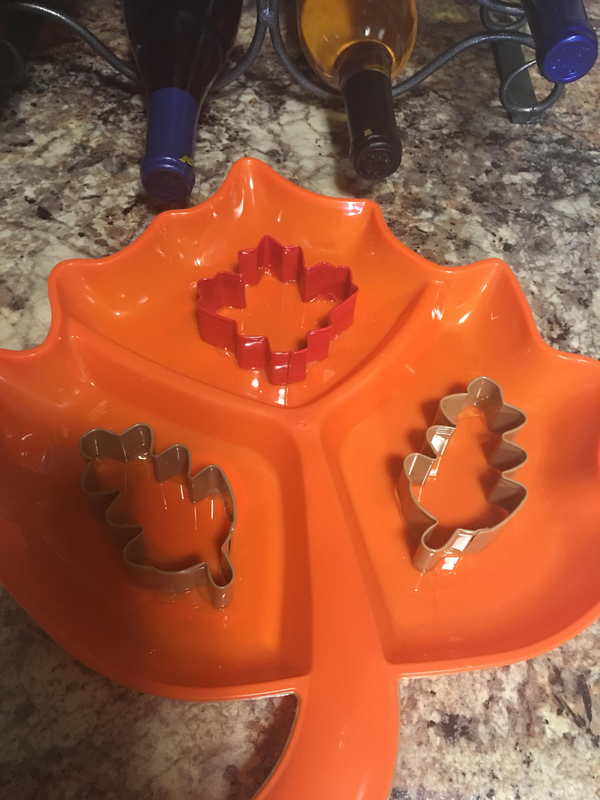 I also purchased 3 leaf cookie cutters. Using 6000 Glue I glued the cookie cutters to the leaf tray. Then I filled the cookie cutters with cheese, Pepper Jelly Dip and Candy. I then added crackers and pretzels around dip and chocolate candy around the candy leaf. Perfect for party events in the fall. I spend less than $3.50 for a very nice and useful tray.